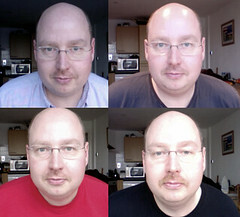 Well the 'tache growing is progressing as poorly as can be expected for someone so follically challenged as myself. But, remember this is all in a good cause. If you've not yet sponsored my continuing social embarrassment then there's only ten days left to head over to the Movember website and sponsor me, all in aid of Prostate Cancer Research.